Jimmy Palmiotti and Amanda Conner have revealed the process behind choosing a new artist for DC Comics's upcoming Harley Quinn ongoing series: the character will choose who will draw her. And not in some new age-y, feel-goodish "the art chose me" kind of way. 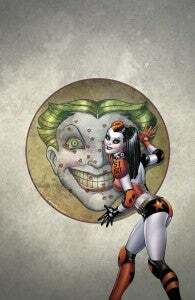 In the literal sense that November's upcoming Harley Quinn #0, a jam issue featurin art by a number of top comics talents, will see the character of Harley Quinn evaluating each artist's take on herself and her world, and picking a "winner" to be her new, ongoing artist. Among the candidates? Well, we previously reported on Darwyn Cookie, Sam Kieth, Tony Daniel, Paul Pope, Walter Simonson and Art Baltazar--but also that there were more, as-yet-unannounced artists who will participate in the zero issue. "The #0 book is a giant lab experiment — and Issue #1 that comes after this will be the more regular format of the book," Palmiotti said. "This issue is something special on a number of levels. This will make you laugh and cry…cry laughing." 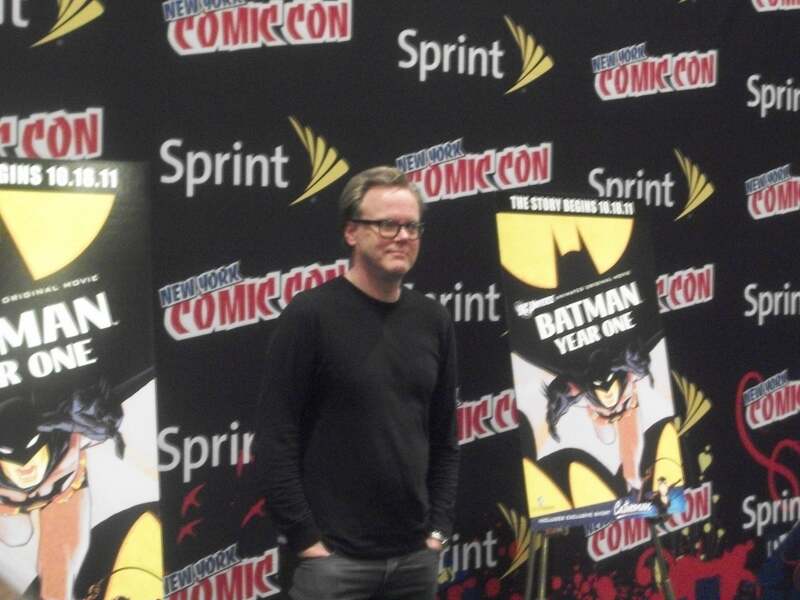 Pamiotti and Conner told Newsarama that, among the other names fans can expect to see drawing a sequence in the issue are Adam Hughes, Dave Johnson...and Harley Quinn's co-creator Bruce Timm. Timm, along with fellow animation legend Paul Dini, came up with the character for Batman: The Animated Series, attaching the idea of a harlequin jester to The Joker as a love interest/sidekick/all-around #2. 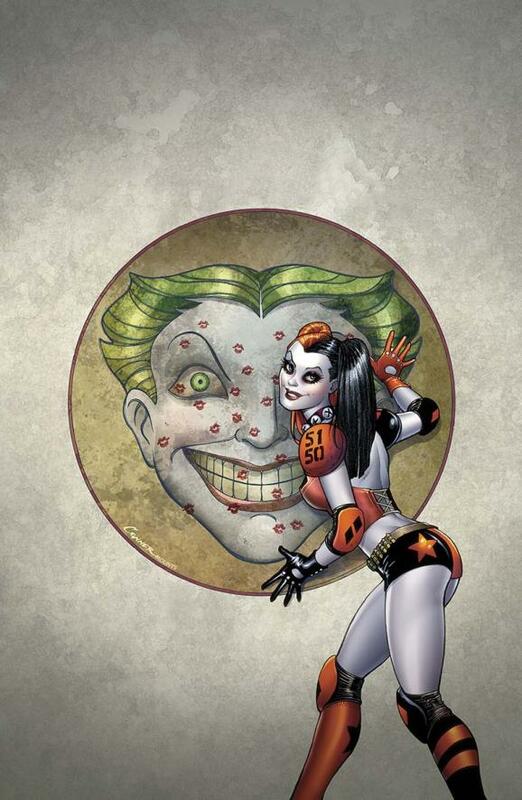 Previously, DC had a number of characters called "Harlequin," one of whom was Duela Dent, also known as The Joker's Daughter, but none ever took hold the way Harley did (geek icon Kevin Smith named his daughter, Harley Quinn Smith, after the character). Six years after her creation, the character proved so popular that she was added to the DC Universe proper, with a one-shot establishing her origin. Not long after that, she got her first ongoing series, which ran for 38 issues from 2001-2003. That's not a bad run for a character created after the Silver Age. In the recent past, only Booster Gold (49 total issues) has managed a feat like that, while a number of latter-day superhero characters saw their comics cancelled after between 8 and 24 months. Timm, an icon at Warner Bros. Animation, has been key not only to their various animated TV series but also to the DC Universe animated feature films. He recently reportedly abdicated his role working on those films to do another, as-yet-unannounced project for DC. There's some speculation that Dini will head up a new Justice League animated series featuring the characters as they appear in the New 52 (and, crucially for Warner Bros. Consumer Products, on the merchandising at Target stores). His most recent comics work as a variant cover for Superman Unchained #1.